In the craziness of everyday life, it’s easy to forget about the good things that are happening all around us. How often do you focus on the things you haven’t done? You think about the phone calls you didn’t get to, the orders that didn’t ship out today, the presentation you still need to finish. And then you listen to the news, which rarely ever makes you feel better about your situation. I know you listen because I hear your conversations around me. The housing market! Gas prices! Heidi and Seal’s children! Oh the horrors! Take this moment, this day, this month to focus on giving THANKS for all the good that IS in your life. Pay attention to what the people around you are doing RIGHT. Look for and praise the employee who shows up on time and takes initiative. Say thank you to her. Think about all the good clients you have, the ones you enjoy talking to and working for. Let them know they’re special. Recognize the effort that your vendor makes when you absolutely, positively have to have your order shipped out today. Tell them you value their heroic effort. I recently read an article that suggested people don’t say thank you because they’re afraid that if they do, somewhere down the line they’ll be asked to “pay up”. For example, if you recognize an employee’s efforts, you’ll have to give him a raise. But the writer went on to point out that if you think about the times when you’ve been thanked, you’ll realize you are not then mentally figuring out how much the other person owes you. That’s just not how appreciation works. While you’re at it, take some time to show some appreciation to yourself. Maybe you didn’t get everything crossed off your list this week, but give yourself credit for what you DID accomplish. Here’s a nice pat on the back. With Thanksgiving in the U.S. coming up in a few weeks, everyone’s talking about gratitude this month. Welcome to the conversation Zen Rabbit’s been having all year. Ha Ha! I am reminded of a discussion I had with mentor Paul Martinelli several years ago. I was starting Zen Rabbit and while my business was all about saying thank you to customers, Paul didn’t think I was feeling enough gratitude myself. Kind of ironic, right? He suggested I read Chapter VII on Gratitude in Wallace D. Wattle’s classic 1910 book “The Science of Getting Rich” every day, morning and evening, for 30 days. In reading over it again now to write this article, I’m wondering if it wouldn’t be beneficial to repeat that twice a day exercise again this month. Hmmm. Who wants to join me in this endeavor? I also saw a link on Facebook today, via my friends Sherri Sokolowski and Debbie Phillips, to Carrie Saba’s blog post where she also proposes a gratitude challenge. I don’t know Carrie however I’m now grateful for finding her article. She’s sharing several fantastic ideas for focusing on gratitude, one of which is finding a gratitude buddy and emailing each other what you’re grateful for every day. Having trouble coming up with anything? She’s got some gratitude themes you can use as kindling. Her post also brings to mind the project I mentioned back in 2010 after reading John Kralik’s book “365 Thank Yous: The Year a Simple Act of Daily Gratitude Changed My Life,” whereby I wrote one thank you note a day to someone who has impacted my life and done something for which I am thankful. So here’s to improved efforts on recognizing all that you have to be grateful for. It starts with acknowledging privately to yourself and moves to outward expressions through thank you notes and gifts shared with those for whom you are thankful. PS: If you’ve not read “The Science of Getting Rich,” I highly recommend you do. It’s in the public domain now, which means you can find it for free. An ebook version is available here: http://tinyurl.com/a5pkpox . The Kindle version is only $.99 or you can find an inexpensive printed copy. My friends always joke that I live in a bubble. An impenetrable protection that seems to follow me wherever I go. In fear of jinxing myself, I rarely speak of said bubble and only quietly acknowledge its existence each time I seem to have a turn of luck. A place where the bubble particularly comes in handy is when I travel. I have been lucky enough to many exciting places bound to present some precarious situations completely out of my control. I have recently done some thinking about this bubble of mine and tried to make some sense of it. What I have started to realize is that the bubble comes from a perspective of gratitude mixed in with a smile. Even without words, we connected through his act of kindness and my smiling face. He understood I was grateful. I remember when I first arrived in Shanghai for my semester abroad. I was dropped in the middle of the financial district with three huge suitcases looking for my friend’s brother, who was supposed to meet me. 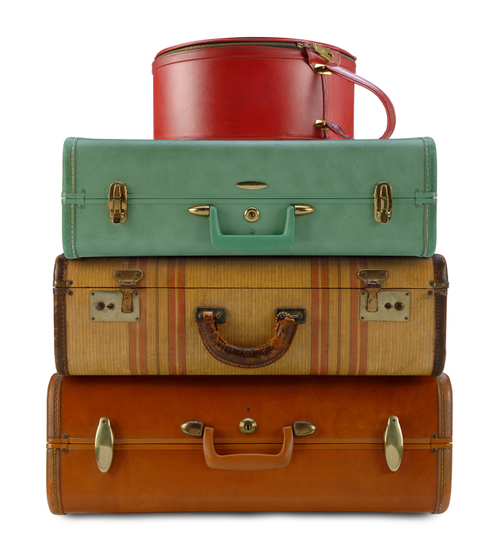 With no familiar face in sight I was left on a curb unable to carry my bulging luggage. Out of nowhere a man appeared and quickly shuffled all of my things to the lobby of a hotel where I could wait comfortably. Not knowing one word of Chinese, I looked at the man and smiled thanking him repeatedly in English. I am not sure if the man truly understood the level of gratitude I was trying to express, but he understood that I was happy and grateful. Not being able to say one word to each other he and I connected through his act of kindness and my smiling face. “Thank you” quickly became the first word I ever learned in Chinese. It is now a trend that in every new country I visit, I immediately learn how to say thank you. It’s a word you feel almost naked without knowing. It’s a word that can make those precarious situations a little less precarious. It’s the word that connects you with the culture and the people around you, because gratitude, even a simple thank you, transcends borders, languages, and any cultural norms. As I start to embark on my own journey, I know that I will strive to keep gratitude a common theme along the way. Throughout all of my twists and turns I know I can always rely on a simple thank you and a smile to invite positivity into my life. It serves as the common ground between me and everyone else regardless of his or her background. It is how I connect with people all around me regardless of the circumstance. All of the sudden, I start to feel at home in the most foreign places, all thanks to my bubble of gratitude. Lindsay is a Junior in the Elliot School of International Affairs at GW – majoring in international affairs. This summer she is interning at Barclay’s Capital in Hong Kong and has already traveled to more than 30 countries. Of those countries, she has lived in Memphis, TN; London, England (for 10 years); and Shanghai, China (for a year). She also spent a year before college in Ecuador and Costa Rica. The elves and I have been super busy packing holiday orders, so when I saw this article by my associate Ross Reck on his blog, I thought it was so very kind of Ross to write something that would save me from having to write my own post today. 🙂 Remember, my friends, show a little kindness and gratitude for the clerks! This is the time of the year when retail clerks catch a lot of undeserved verbal abuse from the people they’re trying to serve. Stores are crowded, people are in a hurry, check-out lines are long and tempers are short. Under these circumstances, a kind word or gesture from you can brighten a retail clerk’s day. I read where one person carried small packets of M&M’s in his pocket to give to clerks as he was going through the check-out process. He would simply put it in their hand and say, “I hope your day is going well.” Showing an interest in their welfare can also brighten their day. During last year’s holiday season, I was checking out in a grocery store and I asked the clerk how her day was going. She responded with, “Wow! Somebody asking me how my day is going; now there’s a switch!” We then proceeded to have a very pleasant conversation. Several days later, I was back at that same grocery store and the check-out lines were long. That same clerk spotted me and said, “I’ll open my register for you. Come with me.” I then let her know how much I appreciated her kindness. She looked at me and said, “We always remember the nice ones.” So, take the time to spread a little joy among retail clerks this holiday season. It will brighten their day and yours as well. Dr. Ross Reck is the coauthor of Instant Turnaround!, REVVED! and the best selling The Win-Win Negotiator. He is also the author of Turning Your Customers into Your Sales Force, The X-Factor and his very popular newsletter: Ross Reck’s Weekly Reminder. Yesterday I was out running through the forest. Okay, not so much a forest as the Custis and W&OD bike trails. But it may as well have been a forest. I first saw a rabbit frolicking amidst a grassy side area. As you might guess, with a company named Zen Rabbit, rabbits are my totem animal. 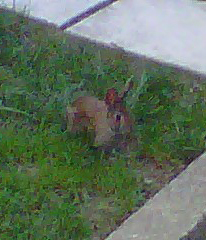 I LOVE seeing rabbits. And then about 20 minutes later, I saw a deer! There was one biker who also saw the deer enjoying her mid-afternoon snack in the foliage. Then there were a whole bunch of other people on the trail who didn’t even notice. They zoomed right by, not paying any attention to what was around them. That experience got me thinking about how many times people don’t see what’s right in front of them. How many opportunities are missed because they’re too busy getting where they’re going to pay attention to the cool stuff that shows up unexpectedly? I admit I’ve made this mistake many times and will likely make it again. You get caught up in getting stuff done, staying focused on the task at hand and not allowing any outside distractions. At times, that’s the only way to operate and it ensures that you reach your goals. Other times, though, like a beautiful Sunday afternoon, you need to allow yourself to meander. To be distracted. To get out of your head and into the moment. To allow your attention to wander to whatever is playing on the sides of the trail right now. Who knows what you might suddenly see or what great ideas may come to you.